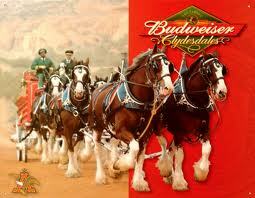 Fans of the Super Bowl can probably expect to see Clydesdales in the game for the next few years. The owner of Budweiser says it has locked up its position as the only national beer advertiser in the Super Bowl through 2014. The brewer, which became Anheuser-Busch InBev NV in 2008, has had a presence in the NFL’s championship game as the exclusive beer advertiser for 23 years.